I grew up in Texas. Contrary to popular belief, there aren’t horses and cowboys everywhere you look. But many of the stereotypes about Texans and Texas culture are true. They say the Dallas Cowboys are America’s team, which is true. There’s also this idea that everyone in Texas owns multiple guns. While they don’t all own a firearm, many Texans do own at least one. That is definitely true. 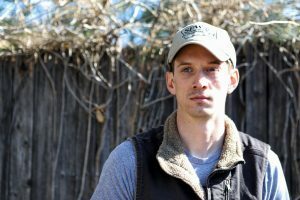 My experience with firearms began around the age of 10 when I went hunting for the first time. My dad made a friend through his business that owns a ranch in south-central Oklahoma of about 4,200 acres. I went deer hunting for the first time at that ranch, and while I didn’t necessarily fall in love with guns at that point, I did fall in love with the outdoors, and the way they make a man (or woman) feel more connected to the world around them. It was also my first exposure to firearms. I believe the first gun I shot was a .270, which I used to shoot that deer. Shortly after that I was given a .22 caliber bolt-action Winchester by my godfather. It’s still one of my favorites to shoot. I also shot clay pigeons around 13, and my dad and I both fell in love with shotgun sports and tried our hands at duck and turkey hunting as well. Over the years hunting has become a part of my life. There have been spans where I haven’t gone for a year or two, but going from an early age and being around guns during that time showed me how while firearms are not toys, they can be enjoyed when used safely and properly. I learned the hard way that safety around firearms involves m ore than not pointing a gun at someone. During a weekend hog hunting trip in North Texas I shot a Smith & Wesson Model 500. It’s one of the most powerful handguns in the world, and marketed as such by S&W. It even shoots a .50 caliber .500 S&W Magnum cartridge and is so big it can be used to hunt large African game. During this trip I had the opportunity to try out the handgun with some of the other men that were hunting that weekend. We were out on a ranch, not on a range, and no one had any earplugs close by. I remember a man named Kevin sticking a couple of bullets in his ears. I opted to shoot the handgun with no ear protection. Twelve years later I still have a ringing in my ear from that pistol. The hearing loss was even a medical issue that kept me from getting into West Point after high school. Experiences like these can scare someone away from owning a firearm. I didn’t shoot many handguns after that. I don’t hunt with them and the potential benefits and enjoyment of one was outweighed by the fear of what could happen if I owned one (they aren’t cheap, either). That all changed yesterday when I purchased my first handgun. After years of rifle and shotgun shooting I decided that I wanted something a little more exciting. I purchased a Glock 19 Gen 4, after researching for at least a year, as I usually do before most purchases like this. Deciding on the right handgun to purchase is a long story, but in short it entailed a mix of figuring out the caliber, manufacturer, and model that I wanted. Eventually the choice boiled down to deciding between a Glock 17 and a Glock 19. The 17 is a bigger model and many would say it’s slightly more comfortable because of that. The only problem is that it’s larger size makes it a good bit harder to conceal. After leaning towards the Glock 19, I decided to try one out at an indoor shooting range in my home town. It ended up being the first time I had shot a handgun in years, and admittedly I had a little trouble even loading the magazine. It was also my first time ever shooting a Glock, and I liked it. 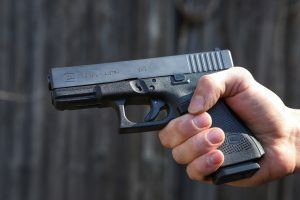 The trigger pull is a little more than I might like for hunting or home defense situations, but since there is no safety the harder trigger pull helps keep the Glock safe. Luckily, Texas is relatively relaxed concerning gun laws. There are even free LTC (License-to-Conceal) classes if you know where to look. I found a free LTC class at a church in Wylie and signed up. I don’t know that I’ll carry the gun everywhere I go, but I would rather have the license in case I am ever stopped with it in my car or with want to feel safe in certain areas. 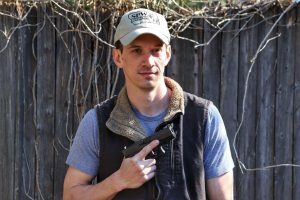 There are several things that ended up influencing my decision to purchase a handgun and eventually become licensed with it. The first reason was to take it with me when I go hunting. Even though a 9mm is not big enough to take down much big game without an expert shot at pretty close range, I will still feel better when hunting hogs or coyotes if I have something on my side along with the bigger rifle I’m carrying. The next reason I decided to go with a handgun was for home protection. I want to know that I am safe against someone armed that breaks into my home. Sean Taylor was shot and killed in his home during a robbery, as many others have been. That’s not something I want to happen to me or my family if I can help it. I am incredibly excited about purchasing my first handgun, which is also the first gun I’ve purchased, since the several guns I own were either hand-me-downs or gifts from someone. I am looking forward to exploring how to clean and shoot my Glock 19 and am particularly excited about getting LTC-certified in April!